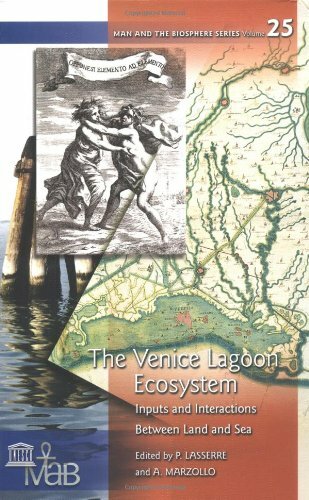 Venice Lagoon Ecosystem: Inputs And Interactions Between Land And Sea: 9781850700838 Hardcover - LIMEROCK BOOKS INC.
Coastal lagoons comprise 13% of the world's coastline and are found from tropical zones to the poles. They are enriched by oceanic and continental inputs and are among the world's most productive ecosystems. In many parts of the world, lagoons have long been closely interlinked with human societies - nowhere more so than in the Lagoon of Venice, where the mingling of human actions and ecological process has been so enduring, complete, complex, and profound. A one-of-a-kind scientific reference text The Venice Lagoon Ecosystem: Inputs and Interactions Between Land and Sea covers research on the flooding and biological damage from pollution and dredging to Venice. The research integrated in situ and experimental studies and modeling to create a key multidisciplinary and synthesized contribution to understanding the complex interactions between man-induced perturbations and natural biological phenomena to better understand their reciprocal effects. Topics include: the role of coll oidal material in biogeochemical cycling of organic carbon and trace metals, the interactions between lagoon sediments and degradation of organic matter, the processes which regulate the coupling of nutrient dynamics, oxygen and metal concentrations, and the effects of contaminants on macroalgea, molluscs, fish, and otherbiota. The volume includes bibliographic references and index. The scientific results found in this volume represent a distinctive contribution to the understanding of one of the world's most renowned coastal lagoon ecosystems, as well as to decisions on the future development of Venice and its lagoon. What's more, the lessons learned and approach taken in The Venice Lagoon Ecosystem: Inputs and Interactions Between Land and Sea are applicable to other coastal lagoon ecosystems around the world.